In my last piece, I had proudly proclaimed that Bears have been eradicated from Dalal Street. The Bears had merely staged a strategic retreat so as to lull our guard. As soon as we turned our backs, the Bears launched a vicious and no-holds-barred attack on Dalal Street. The attack has inflicted incalculable and irreparable losses on the Bulls. It may take several months for the wounds to heal and normalcy to return. Yeh sab mille hue hai ji! 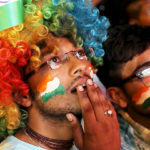 Wounded by the small and mid cap indices Indian investors have to now tolerate the Pepper and Salt being rubbed by the bigger ones – Nifty and Sensex. Nifty & Sensex close to all time highs. Midcaps & Smallcaps near 52 week low, Down 60-70%. Retail Investors: Abke Sawan Me Yeh Shararat Humare Saath Hui, Ek Humara Ghar Chhod Ke Saare Seher Me Barsaat Hui. In fact, the situation is so grim that Samir Arora, the distinguished fund manager with Helios Capital, had to instruct his vast follower base, to generate inspirational quotes so as to prevent novices from bolting. Looking at the state of our market, we desperately need new inspirational quotes. 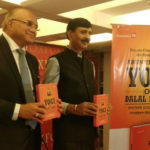 However, few were in the mood to comply with Samir Arora’s directive and the inspirational quotes were few in number. Porinju Veliyath, who is one of the de facto commanders of the Bulls Army of Dalal Street (‘BADS’), is one of the worst affected by the savagery of the Bears. On the earlier occasion, Porinju made public the performance of his PMS Fund. He revealed that the Fund has under-performed in FY18 and in Q1FY19. While the under-performance is FY18 is tolerable, the loss in Q1FY19 is a hefty 18.54% even though the Indices delivered a positive return. This under-performance may spill over to Q2FY19 as well given that the star stocks in the portfolio such as LEEL, Va Tech Wabag, Kaya etc are continuing to bleed. In his latest interaction with Anuj Singhal and Ekta Batra, Porinju reeled out frightening statistics about the extent of loss suffered by stocks. He pointed out that out of 3000 companies, 1700 companies have gone down beyond 40 percent, 1300 companies have fallen by 50 percent from the recent high and 750-800 companies have fallen by 70 percent. “This year we are down, we are the worst performer among the fund management companies in India,” Porinju added with a rueful shrug of his shoulders. However, he was also quick to add a reminder of his past performance. “I am a fund manager who has been delivering 45.2 percent CAGR for the last five calendar years,” he stated in an emphatic manner. Porinju candidly admitted that even he is surprised at the steep fall in the NAV of the PMS Fund. “It is true that clients who have joined in last 8-10 months or maybe one year, when they look at the price today or NAV today, it is little embarrassing even for me,” he said with a sheepish smile. However, he assured that this is a “passing phase” and that “many of the stocks will go through new highs”. “I am very confident about them,” he emphasized. 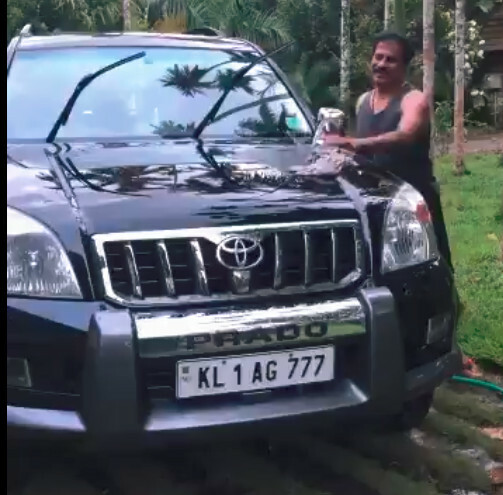 Porinju also offered the soothing information that though the first time clients “don’t understand market dynamics much,” they are not panicking and demanding their moneys back. “There is absolutely no redemption. Every month even in May and June we have net inflows,” he said. No doubt, this speaks volumes about the confidence that Porinju’s clients have in his stock picking abilities. 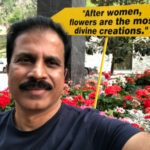 Porinju explained that the reason for the savage crash in the stock prices of small and mid-cap stocks is because their prices had been driven up to unsustainable levels by irrational exuberance and euphoria. “There was euphoria. Small and midcap stocks had been sustainably going up for the five years,” he explained. He also pointed out that investors had started thronging Dalal Street as it started to peak. “The natural tendency of lot of people is to come at the peak of the markets, big money comes in at that point of time, that euphoria nobody will rule out,” he said. Naturally, euphoria coupled with big money gushing in is a recipe for disaster. Porinju was asked whether in view of the savage crash in small and mid-cap stocks, the proper strategy now is to buy large-cap stocks. However, he categorically ruled out the strategy. “This is a time for midcaps and small caps,” he thundered with a defiant look in his eyes. “After this big fall I think this is the most exciting time when I look back in the last five years. Now is the time to really look into and load selective mid and small caps,” he exclaimed. “It is a wonderful time to pick small and mid-cap stocks with a very high margin of safety than the top quality stocks today,” he added. Ekta Batra rightly asked Porinju to define a time frame within which we can expect small and mid-cap stocks to revert to their glorious days. Porinju came out with all guns blazing. “It is overdone already, so it can happen any time, it can start tomorrow, maybe Monday, I don’t know,” he said, his eyes sparkling and his voice quivering with excitement. “This is a huge unusual crash and the money is hiding, the money is attempting to hide behind the 15-20 stocks. This won’t sustain,” he added. Porinju reiterated his pet theme that small and mid-cap stocks will outperform blue-chip stocks and deliver multibagger gains. “Most of them would go beyond their earlier peaks and they will outperform this current HDFCs and Bajaj Finance or HUL or TCS by significant margin,” he said. Porinju has once earlier proved his theory by recommending a buy of FCEL in place of blue-chips like HUL, Nestle, ITC and Colgate. While the blue-chips struggled for breath, FCEL sprinted forward like a champion runner and delivered mind-blowing multibagger gains. Whether his prophecy comes true this time as well remains to be seen! Don’t do the mistake of every bull run again and again, Kachra Patti stocks will ruin the portfolio , stick with Quality Stocks, Don’t forget Economy of Scale, business are shifting from unorganised or small caps and smaller mid caps to bigger mid caps or large caps due to GST and other steps being taken by authorities to stop Chori. After six more months people may even not be discussing these third class stocks. Just buy right and sit tight. 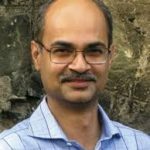 I have always been advocating Quality Stocks, Those who are sitting in Quality , their portfolios are hitting new highs every now and then,when there is deep cut in broader market. Porinju’s buy into Ginni Filaments and me blindly following him days after, by which time, the scrip had gained substantially, led to a huge loss for me. The unfortunate thing is that while know what famous brokers have bought and chase it in full faith, we never know their exit. Mistakes happen. My only sadness is that on Ginni Filaments, someone should have howled an “exit advice”. I just sold and swallowed a huge loss. People should move to Basant PMS.There is less volatility and one can sleep soundly. Stallion is a good PMS. One should give it a try. No exceptions for any contrarian investor ! All are riding in the same boat in this market Mayhem ! He also recommended a Kachra Patti stock Sintex Ind where many newbies are badly trapped !! Also, it is misleading to state that businesses are shifting from small caps and mid-caps to large caps due to GST. Truly speaking businesses are shifting from unorganized sectors to organized sectors and small/mid cap companies are also going to be big beneficiaries of this shift in addition to large cap companies !! Yeah I remember him laughing on others calling people as Moatwwani.etc He keeps criticizing others picks all the time.I hope market has humbled him with his Sintex, psu bank and sugar stock fall. I like Mr.porinju PMS strategy.i feel that future rich investor in India , Mr.porunju. la opala hasnt had a runup because of the rich valuation it had 2 yrs back. borosil is doing some catching up work now. This article seem to have a hidden agenda. To dissuade customers withdrawing from PMS so that PV can continue enjoy the fee. I really doubt the claim that investors have not withdrawn and has net flows. Many newbies might have put up with him. Who would like to book -50% loss in a year. But LT investors might have withdrawn. PMS only makes the fund manager rich but not an investor. Stay away from PMS. Well said mate most of the PMS Manager don’t have skin in the game. They have different personal portfolio and a PMS portfolio. Should Porinju change his strategy?In my opinion, No.No strategy works all the time in the market. His style of investing has given him results in the past,it will bear him fruits in future also, I am confident. What is required is extreme patience to hold on to his picks and his strategy.Market gyrations are essential nature of this game. p. S. I am no fan of Porinju. My investment style is quite at varience with him, but I believe that there are 100 ways to nirvana. There was no evidence of past performance at least in public space. Only now he came up with present and past performance. There was no audit of past performance and he had given attractive performance with hint that present poor perf is not a big deal and sounded as rear. After losing big time this year, lot of investors might have threatened to expose him and hence forced to come up with perf numbers. His stories of turnaround companies and political connection companies, govt policies push irrespective of how the managements and balance sheets did not given him any success in recent times. Severe fall in the small and mid cap has happened earlier also in the market.THIS TIME IS NO DIFFERENT. One should adopt the strategy one is comfortable with– this is the precondition to make money in the long run. You are absolutely correct in your wise assessment of the current state of the Market. I very much endorse it. DON’T SHORT THE MARKET IN A BIG-WAY AT LEAST TILL THE ELECTION TIME !!! Next time “be careful” to cast your vote !! !